Ideal for outdoor conditions, our pavers add the look of Old World stone to terraces, water features, fire pits, outdoor kitchens, swimming pools, pool decking and indoor-outdoor transitional areas. Peacock Pavers offers a range of 10 sizes up to 3′ x 3′ to create grand spaces in landscape areas around pools. 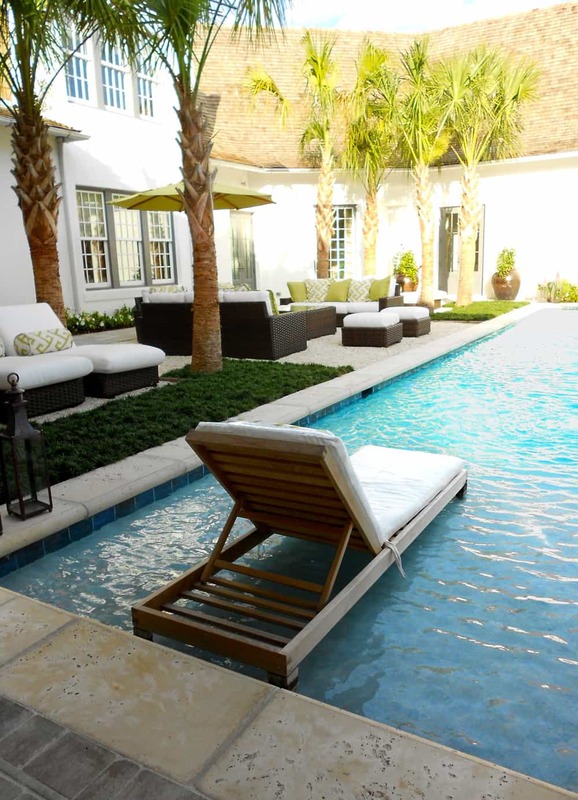 Pool copings blend perfectly with the pavers to create a smooth transition and bull nosing softens the edges. Curved coping is no problem with Peacock Pavers, and our brick coping, also available in our four standard colors, provides a perfect fit when used with bricks. With the classic look of Italian travertine at a fraction of the cost, Peacock Pavers landscape pavers are the perfect solution for everything from koi ponds to Olympic size pools.